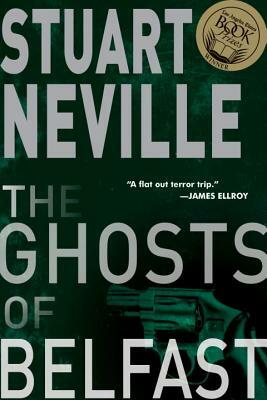 Irish crime thriller at its best, Stuart Neville is a fantastic writer. Careful, this will grab you and not let go. The Ghosts of Belfast is the first in the Jack Lennon series but this is one of those series that is loosley connected so reading out of order is not a problem. Highly recommend any of his books! Fegan has been a "hard man," an IRA killer in northern Ireland. Now that peace has come, he is being haunted day and night by twelve ghosts: a mother and infant, a schoolboy, a butcher, an RUC constable, and seven other of his innocent victims. In order to appease them, he's going to have to kill the men who gave him orders. "Perfect for summer—especially if you want to be reminded of what a blessing it is to live in relatively peaceful times." "Stuart Neville is Ireland's answer to Henning Mankell."